Today we bring you something a bit different. This time The Ethereal Gazette is bringing you the chilling frightmare of a Real World™ experience. Yes, do not adjust your monitor. There is nothing wrong with your settings. What you are about to experience is something that happened in real life. We went down the rabbit hole, sat down and had a long conversation with a native speaker of the Oou language. Share & Enjoy! 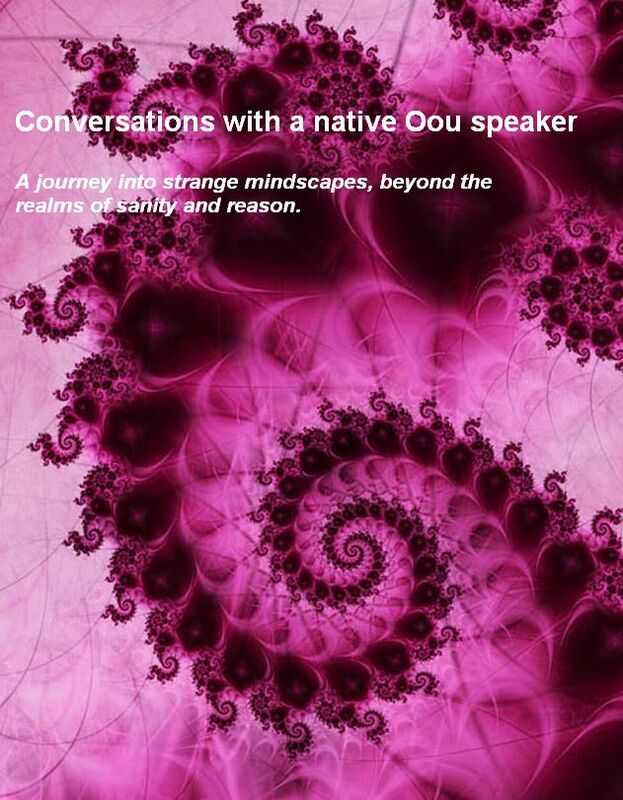 Conversations with a native Oou speaker – Take our hand and join us for a journey like you have never experienced before. A journey into strange mindscapes, beyond the realms of sanity and reason. The work is public domain, so share & enjoy. Click image to download your copy. Section 107 of US copyright law: "Notwithstanding the provisions of sections 106 and 106A, the fair use of a copyrighted work, including such use by reproduction in copies or phonorecords or by any other means specified by that section, for purposes such as criticism, comment, news reporting, teaching (including multiple copies for classroom use), scholarship, or research, is not an infringement of copyright."